brandons gained a reputation as the estate agency that provides excellent service. With a personal touch. We have built a first-class property service based on honesty, openness and transparency. What's your property worth? To find out how much your property is worth, call our dedicated team on 01483 798840. We can arrange a convenient time for one of our local experts to visit your property. And tell you how much your property could sell or rent for in the current market. Once you receive our valuation When you have received a valuation from us. You can be certain that the valuation figure we have given is realistic. If you then decide to go ahead and start the process, we are happy to advise you of the best possible way to do this. We’ll listen to your goals. Help you achieve them by supporting you throughout the process. Take advantage of our advice and expert coordination. Arrange our FREE no obligation market appraisal 01483 798840 please get in touch - we love to talk. or just curious about what your property is worth? We can give you an idea over the phone by calling 01483 798840 even if you are just curious or discuss your needs and market conditions if you are ready to sell. Our sales managers can offer a more accurate valuation with a visit to your property book an appointment. A clean front door and a litter free entrance gives an excellent first impression. Lighting, clean windows and drawn back curtains are essential in maximising natural light especially In the winter months, good lighting is equally important consider using lamps to add extra warmth and charm to a room. 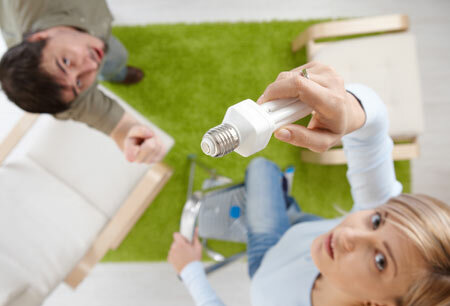 if your property is empty ensure that the mains power is on and all light bulbs are working 30% of our viewings take place out of hours. Temperature for the season helps prospective buyers imagine themselves relaxing in the home. An open window in the summer and the use a working fireplace in the winter sets the scene. Freshness, a damp smell that is often prevalent in cellars can be kept to a minimum by good ventilation or a dehumidifier. Gardens, front and back, should be kept tidy and attractive, with well-mown lawns, hedges cut and colour emphasised where possible. On average around 12 weeks from putting the property on the market through to completion, however dependent on the status of the seller and buyer the timescales can vary. Making sure that your property is well presented as this will attract more interest when buyers browse on the web ,which will lead to offers. Do I have to instruct an estate agent? Some vendors try to keep costs down by not using an agent at all however, it is well worth considering the benefits brandons provides. We provide the man power and experience required to effectively market your property to ensure it receives maximum exposure attracting as much interest as possible. We deal with the viewings, manage competing offers and oversee the entire process through to completion. In short, brandons will find solutions to common issues and ensure a successful sale is achieved. Do I have to instruct a solicitor? Not necessarily, however the legal side of selling a house can be incredibly complicated so it is recommended that you do use a solicitor or a licensed conveyancer. Although not using a solicitor or licensed conveyance may save you fees, the amount of time and effort required to organise this yourself may not be worth the monetary saving. brandons can put you in touch with an experienced local solicitor. Do I need to provide an Energy Performance Certificate (EPC)? Yes. This is a legal obligation that has been in place since January 2013. It must be made available within 7 days of putting the property on the market. Moving may seem like a daunting task, one of those decisions you’re not going to take lightly. brandons understand the selling process. Finding the right agent to sell your home is an important decision. The best way to reduce your stress is to use a professional local agent. We've established a great reputation in your area for over ten years. You may have friends or neighbours that have bought and sold locally and recommended us. Use an agent who is a member of one of the recognised self-regulatory bodies such as the Government’s Ombudsman Scheme will also give you confidence. Reassurance that you are using a trustworthy agent. It’s good to use an agent with a modern office with large and well-presented window displays. What property portals do you use? Do you use high quality details with floor plans? Do you always accompany on viewings? How long is the instruction period? When you decide to sell your property you must have an Energy Performance Certificate (EPC). brandons will be able to organise this for you. 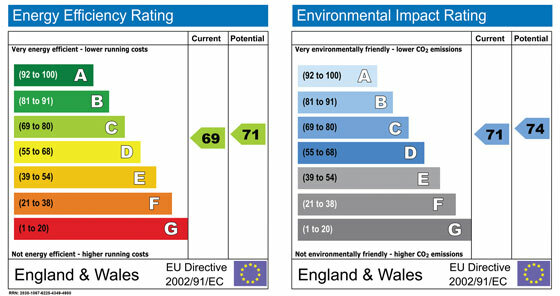 An EPC shows potential buyers how energy efficient your property is.